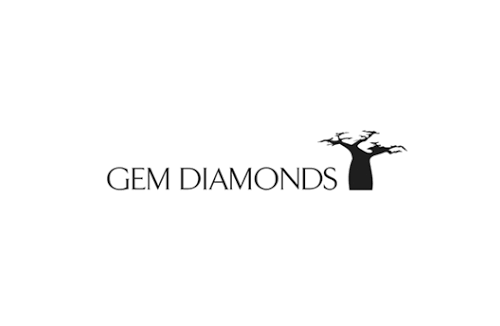 Gem Diamonds Limited said that sales of rough diamonds rose 17% in volume terms and 29% in value terms during 2018 on the back of recovery of a record number of large diamonds from its Letšeng mine in Lesotho. The miner reported recovery of 257 rough diamonds of over 20 carats including 15 that were more than 100 carats, both figures a record for any single calendar year. A total of 44 diamonds were sold for more than US$ 1.0 million each during 2018, generating revenue of US$ 137.2 million. As a result, Gem Diamonds achieved an average price of US$ 2,131 per carat for 2018, up 10% from US$ 1,930 per carat in 2017. During Q4, the highest diamond price achieved was US$ 64,067 per carat for a 4.06 carat, pink diamond, which is also the highest price per carat achieved during 2018. The miner said that total carats recovered during 2018 increased by 13% to 126,875 carats (2017: 111,811 carats). Sales during the calendar year reached 125,111 carats (2017: 107,152 cts), with a 29% increase in value to US$ 266.6 million (2017: 206.8 mn). During the year, as part of a business transformation process, the company installed a mobile XRT sorting machine for treatment of tailings. This machine recovered 11,905 carats in 2018 of which 6,233 related to historical (pre-2018) tailings material. It also drew up a revised mine plan, which is expected to significantly increase the mine’s life. Further, strong pricing was achieved at the first tender of 2019, with an average price of US$ 2,004 per carat. Gem Diamonds also reported that the manufacturing of its pilot plant has commenced, and the project remains on target to be commissioned at the end of Q2 2019. This project employs innovative technology to identify diamonds within kimberlite, in line with the continuing strategy of early detection of large diamonds and diamond damage reduction. India – Where Diamonds Come Alive!